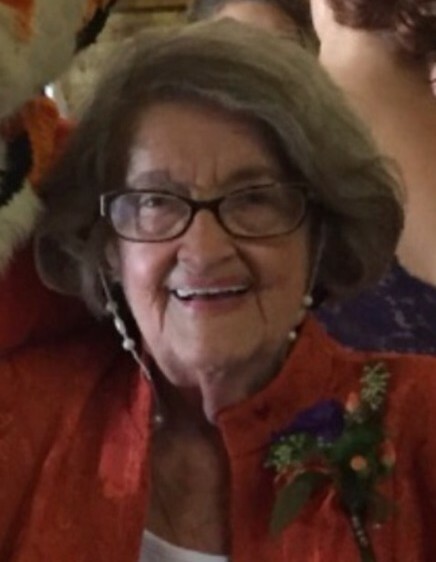 A Memorial Service for Betsy Hartzog Croft, 84, of Blackville, SC will be held 2 p.m. Wednesday, January 23, 2019 at the Folk Funeral Home Chapel, Williston with the Reverend Billy Mew and Dr. Thomas Terry officiating. The family will receive friends from 1 p.m. until the time of service on Wednesday at the funeral home. The family has asked that memorial contributions be given to the Blackville Cemetery Fund, P.O. Box 365 Blackville, S.C. 29817. Mrs. Betsy passed away Sunday, January 20, 2019. Born in Denmark, SC she was a daughter of the late Ernest Cecil Hartzog and Kathleen Hightower Hartzog and was married to the late Wilford Croft. Betsy retired from the Clemson Extension Service, was a member of the Blackville First Baptist Church and previously taught the Ruth Sunday School Class. She was a charter member of the Blackville Garden Club, loved working in her “Garden of Eden”, painting and sewing. Survivors include her daughters Susan (Steve) Cohoon, Jan (Joe) Templeton; a son, Jay (Jean) Croft; 10 grandchildren; 9 great grandchildren; brothers Robert C. (Cathie) Hartzog, Arthur B. (Jean) Hartzog; special friends Janice Hartzog, the Nurses and caregivers of Regency Hospice,Dee Hutto and Annette Brown. In addition to her parents and husband she was predeceased by a sister Carolyn.